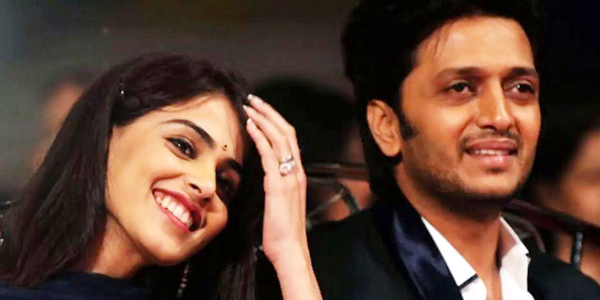 Bollywood’s attractive couple Riteish Deshmukh and Genelia D'Souza had a miraculous escape in a lethal bomb blast that exploded in Bangkok injuring 120 and killing 20. Gorgeous Genelia Deshmukh along with her debonair husband Riteish Deshmukh, were in Bangkok for shooting an advertisement. Incidentally the bomb blast occurred close to the location where the duo was shooting but luckily they were safe. Heaving a sigh of relief Genelia Deshmukh took to tweeter and informing her fans she tweeted that they were safe and sound. Riteish Deshmukh too expressed his condolence for the victims and thanked his friends and well-wishers because of whose prayers he and his wife survived. Attacking the futility of the terror attack Riteish Deshmukh blasted, "My thoughts go out to the people affected by last night's cowardly attack. Taking innocent lives is no way to protest or make a point." According to the recent reports the blast occurred at the Erawan shrine, downtown Chidlom district of Bangkok. The shrine is a major Hindu tourist hotspot which is also frequented by Buddhists. 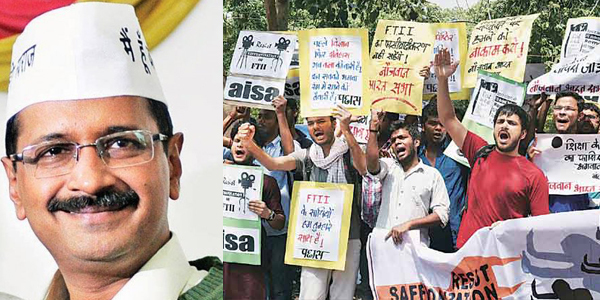 The months long agitation of Film and Television Institute of India (FTII), Pune, against the appointment of little known actor Gajendra Chauhan as chairman of the premium institute took political color with Delhi chief minister Arvind Kejriwal coming in rescue of the students. According to latest reports on Wednesday night the Maharashtra police unleashed terror on the students on charges of rioting and unlawful assembly. Of the 15 students held five were taken into custody. Attacking the BJP’s government bossism and their bid to saffron the premium institute he hinted, “It is shocking that an internationally reputed institute is being systematically destroyed by government's wrong decisions." Sympathizing with the students he added, "My offer to FTII students - Delhi government can provide you temporary space in Delhi. Run your classes here till central government agrees," he said. And that’s not all Delhi chief minister Arvind Kejriwal has also assured the students that if the central government does not bow to their demands and remove Gajendra Chauhan as chairman then his government will convert the temporary space into full fledged institute and students can continue studying there.